We can get the subsites under the site using CSOM easily but if we need to get all the site collections under a specific web application from a SharePoint farm, then we can’t get it directly. For that, we have to use SharePoint search. By using SharePoint Search, we set the “KeywordQuery” to filter and get the site collections. Before using the code block, we should ensure that the SharePoint Search Service Application is running and active. The code block for this is mentioned below. credentials = new NetworkCredential(username, password); //creating creadential object for SharePoint site. In this blog, I have explained how you can get all the site Collections under a SharePoint web application. I hope this blog will help you out in a few scenarios. I have read lots of articles on C# Corner, as well as on other online websites about CRUD operations on Sharepoint List. In most articles, I have found some redundant code which can be reused and utilized in such a way that any new developer or learner can learn from the code. So, based on that, I have started working on creating SPRest Utility which will do lots of work internally to increase development speed with much less coding. As I am still working and it is not fully optimized, there is still redundant code and methods which I have to delete. // TODO- Need to transform this json to closure function to allow only get operation. //No to fetch Metadata, response only requested data. // TODO For Safety this method can be wrapped with request Digest so always get token. // But need to ensure it request only when request digest is expired. //TODO- Naming convention can be updated. You might be wondering how to use SPRest for CRUD Operation in SharePoint. First of all, save the above code in a file and then, add the reference to it on the page wherever you want to use it. Once you have added references, then create the instance of SPRest with one parameter which accepts Sharepoint rootUrl used internally or generating request URL for REST API. For demonstration purposes, I am using “PlaceHolderList” that is having the following columns. By default, SharePoint List returns the top 100 records if you have more than 100 records in the list. // Response received. TODO bind record to table or somewhere else. As per the above code example for CRUD functionality, it looks like a cleaner and easier way to perform the CRUD opeation on SharePoint List. It has a lot of redundant code. I removed and combined with reusable functions so it can be used for extending List and Document Library in future. I hope you find this article and utilities helpful. Let me know your comments and any suggestion to extend SPRest util. In this article, we have learned about an easy and cleaner way to do CRUD Operations with SharePoint List Items using SPRest. 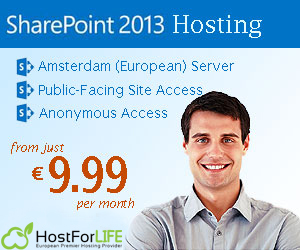 Recently, I faced one strange issue on my SharePoint farm. My documents were not crawling and they were showing the below error. So after some analysis, I learned that this line comes up when some required managed properties in the search schema are set to ‘Allow Multiple Values’. To find which managed properties are causing the problem, just log in to your application server where the search is configured and open the recent ULS log and do a keyword search for “Content processing”. You can find the log line like below. Then, I removed Multi from the managed properties and ran the full crawl. Then, the above-mentioned error disappeared and all documents crawled successfully. These troubleshooting steps cleared all my “Content Processing pipeline failed” errors and I don’t get those errors again. There are many ways in CSOM to set the list properties of a SharePoint site but there are a few properties which we can’t set directly from list object. In this blog, I will explain how to set those properties using WebRequest, for example: offline client availability, major version limit, and major with minor version limit. This below-mentioned code sample will help us to set those properties which we cannot access directly from the list object. //if we want to "SET OFFLINE CLIENT AVAILABILITY"
//if we want to "SET MAJOR VERSION LIMIT"
//if we want to "SET MAJOR WITH MINOR VERSIONS LIMIT"
In this blog, I have explained how you can set the properties of a SharePoint list using WebRequest. I hope this information will help you out in a few scenarios. There are many ways in CSOM to get the list properties from a SharePoint site. But there are a few properties which we can’t get directly from the list object. In this blog, I will explain how to find those using the SchemaXml. This below-mentioned code sample will help us to get those properties which we cannot access directly from the list object. credentials = new SharePointOnlineCredentials(username, secureString); //creating creadential object for office365 site. In this blog, I have explained how you can get the properties of a SharePoint list from SchemaXml. I hope this information will help you out in a few scenarios. You can add, edit, or remove links on the left-hand menu (Quick Launch menu), the top menu (Top Navigation Node) through “Edit Links” in SharePoint. In this blog, we are going to create a structural navigation node that is the root node having subnodes in both – top navigation and quick launch. After the code is executed, you can see the root navigation with its respective subnodes created successfully.